I'm old spinster Miss Marple, honest I am! One piece of news got the whole film blogosphere scratching their head today before bursting out in laughters of disbelief. Jennifer Garner is to take on the iconic role of... Miss Marple! What's next, Vin Diesel as Hercule Poirot? As we speak, Agatha Christie is rolling, no, spinning in her grave faster than Linda Blair's head in The exorcist (and most probably green projectile vomiting too). Jennifer will not donning prosthetics and a grey wig, rather, the film will portray her as a 30/40 something detective, possibly in an origins story? I was just thinking how the Sherlock Holmes reboot with Robert Downey Jr managed to reshape an iconic yet fairly dusty English character into a kickboxing action hero, without making him lose his soul but this is possibly even more of a stretch. There is nothing to say you cannot have fun with an iconic character but if you stretch it too far, you risk losing all that is recognisable about it. 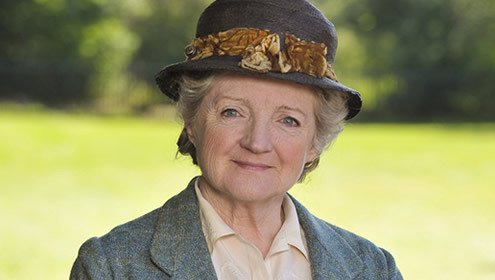 Plus, just like Hercule Poirot, Miss Marple's secret weapon was that nobody suspected such a frail looking character to be this formidable sleuth, and with the Alias vixen in the part, we will be missing that aspect. It might have been a smarter idea to have her play a fictional Agatha Christie instead, whose interesting life and travels could have been weaved into a murderous plot. The one intriguing bit however is that Mark Frost, co-writer of Twin Peaks, has been handed over script duties, so it will be interesting to see if he is allowed to infuse the script with a touch of weirdness. I can just see the tagline: Saving the world, one scone at the time. One thing is certain. It cannot be worse than Electra.